Last May I was able to spend a few weeks in the homeland, beautiful Alaska. It had been several years since I'd been home so it was long over due. My husband and three kids and I flew home to Fairbanks, Alaska for my best friend's daughter's graduation. After a few days in Fairbanks, visiting friends and family, we took the beautiful 6 hour drive to Anchorage (which seems a lot longer than 6 hours with two toddlers and a baby.) The majority of my family still resides in Anchorage so we were all excited to play with cousins and explore the glaciers and mountains. We had a busy schedule with play dates and visits but I just HAD to shoot while I was home. 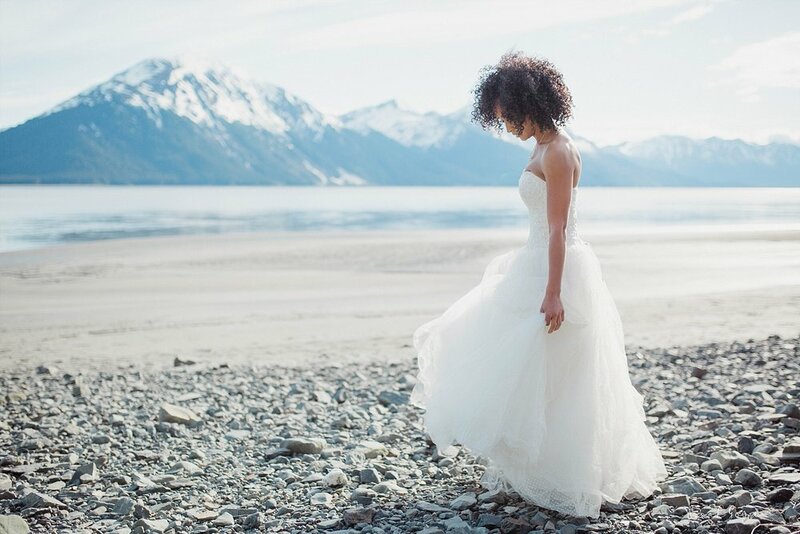 Rachel of Capture Alaska Photography and I had been chatting for a few months about setting up an adventurous bridal shoot while I was home and these were the results!! 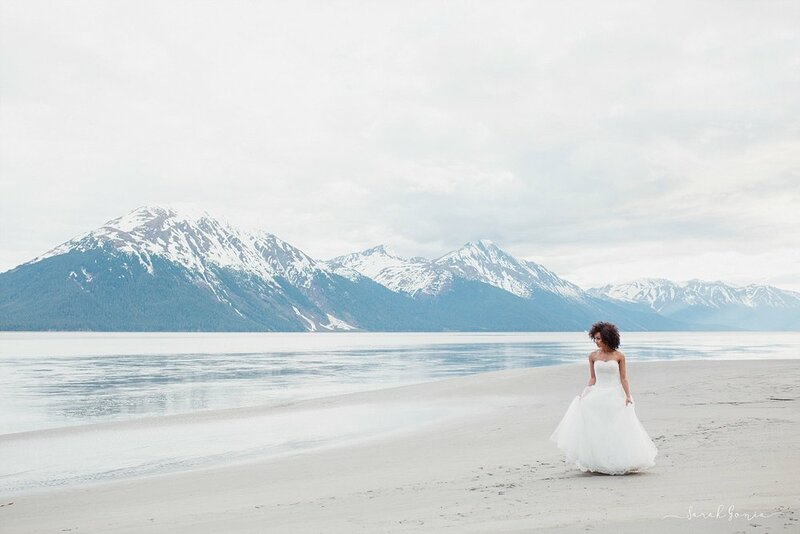 Rachel is an amazingly talented photographer and she is perceptive, sweet and loads of fun. She had known Brooke for quite some time and picked her to model for us, it was the perfect choice because the three of us worked so well together and we had a blast during this shoot! Brooke is so natural and real, she was such a pleasure to work with. My favorite thing about Brooke, besides her FABULOUS hair, is that laugh of hers! When she laughs, she laughs with her whole being and it's contagious. Smart, ambitious, talented - I just can't say enough good things about Brooke. What an amazing woman you are, Brooke! Also, CONGRATS on being crowned Miss Alaska USA 2018! May this year bring you everything your heart desires and may you find some amazing and positive ways to impact this world.